Most of us only think of a plumber when we have a specific project such as fitting a new bathroom or when we have water pouring around our ankles. However, a local plumber in London can be much more valuable than that. It’s worth keeping a note of a reliable, affordable company. A good London plumber will be able to take care of the obvious plumbing, heating and drainage jobs around your home, but what about those small ‘5-minute’ jobs that we think we can do ourselves? The ones that should be easy, but take all day. We’ve probably all had the same experience. The bathroom tap is dripping; all it needs is a replacement washer, it should only take 5 minutes. But it never does! Three hours later, usually after several trips to the local DIY store, you’re still working on it, your temper fraying and the kids asking when you’ll be taking them to the park. On the other hand, call a London plumber and the job really does get done in 5 minutes. A professional plumber has all the experience, spare parts and tools to do the job quickly and correctly. You have the job done right, the plumber guarantees his work and you get to go to the park with the kids. 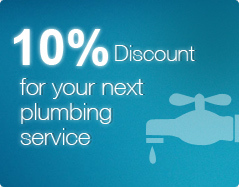 VHC Plumbing and Heating is your expert plumber sw London. We provide a fast, high-quality service to all our customers, we’re available 24/7 for all types of job and our rates are exceptional. So if you have a leaking tap, need a dishwasher installing or would like a new bathroom fitter London, give us a call today.